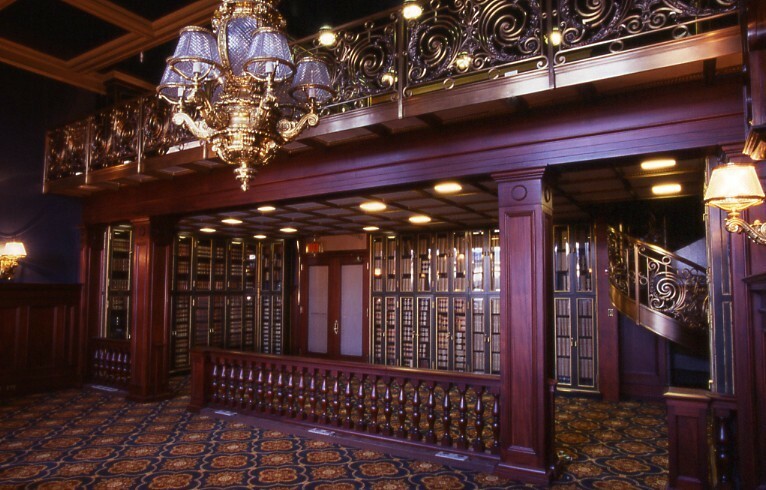 Room 139 of the Pennsylvania State Capitol functioned as the State House Library from 1906 to 1939, at which time alterations were made to the room to better equip it to serve as an office. Following these renovations the room was utilized as a workspace for the house speaker’s staff. In subsequent decades finishes were applied to the wood elements in the room, obscuring the woodwork’s original color. 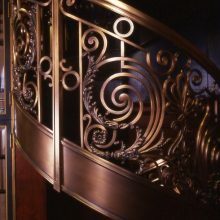 The stunning metalwork (including a bronze spiral staircase and parts of the mezzanine balustrade) was stripped of much of its original surface finish during several particularly insensitive treatments. 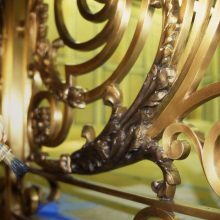 When the building was targeted for restoration in 2002, we were contracted to act as the supervisory conservator for the metal and woodwork and as the contractor for the conservation of the metalwork. 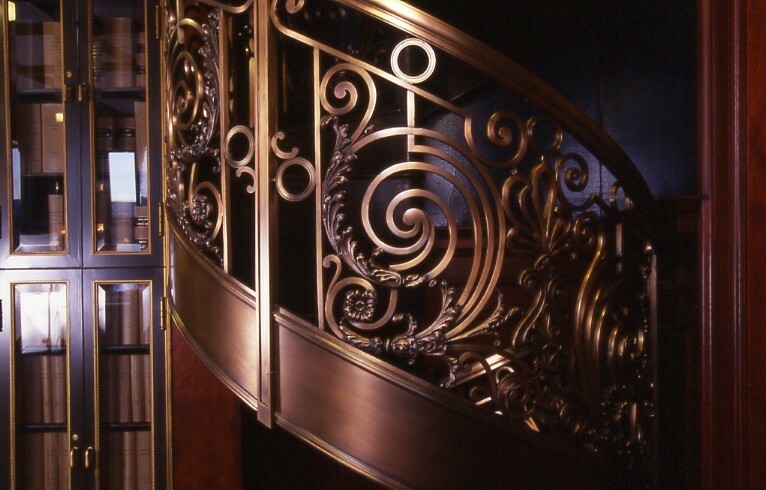 The room’s decorative metalwork was restored, including the bronze spiral staircase and mezzanine balustrade. 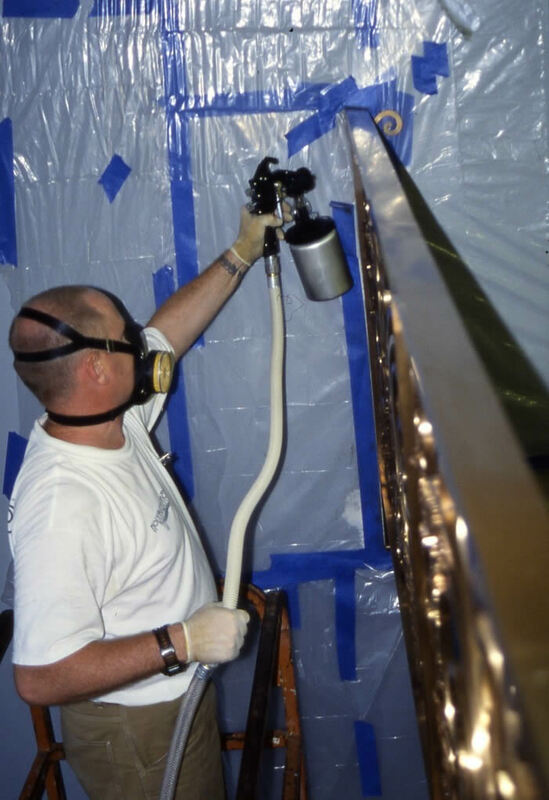 During the restoration of these areas, remnants of the original surface finish were found intact. 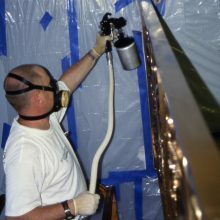 Although the contract specified recreation of these finishes using tinted lacquers, we provided the client with a more durable and traditional finish, which included cold patination and burnishing techniques. 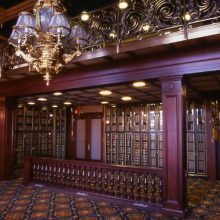 The restoration of the woodwork included returning the mahogany wainscot, doors, balustrade, and wood window wells to their original color. 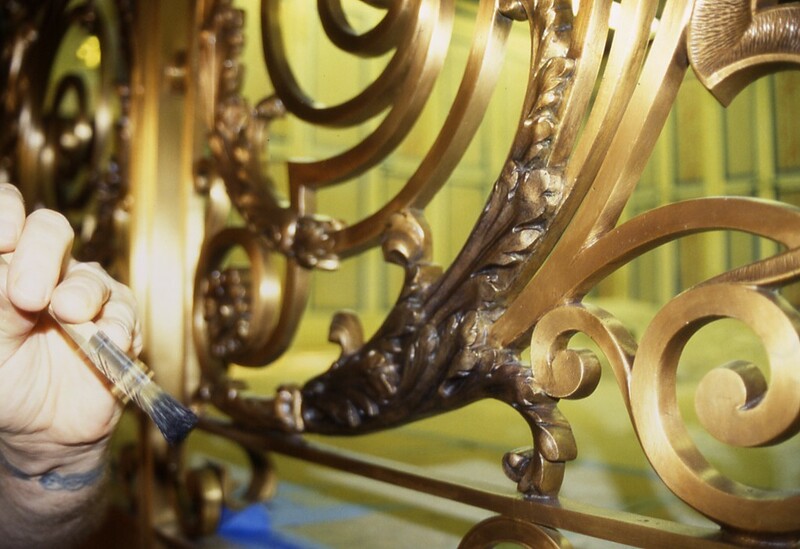 A number of dutchman repairs were made to the woodwork, as well as repairs to the 1939-period mahogany swinging gates.